Want to breeze through US Customs and passport control? Now there’s a free app, mobile passport, that lets you fast track through customs. Travelers with a smartphone or tablet can download the Mobile Passport Control app from the Apple App Store or Google Play Store. With the Mobile Passport App, you can skip the long lines at US airports for Custom and Border Protection (CBP). 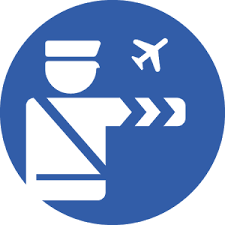 The Mobile Passport is authorized by U.S. Customs and Border Protection. Just fill out your profile, snap a selfie, and answer CBP’s questions – then go straight to the “Mobile Passport Control” express lane at the airport! Geoffrey A. Fowler in a recent article in The Wall Street Journal reviewed the program. I recently downloaded a new app onto my iPhone, ALLCAST which is allowing me to cast all my videos and pictures on my phone directly to my large screen TV. Previously, the app was only available for Android devices. The ALLCAST app also permits you to stream them from cloud providers such as Dropbox, iCloud, Google Drive and Instagram. Simply launch the application, grant permission for it to access your photos and videos, hit the familiar cast icon in the lower left, pick a target, select smart TVs, Chromecast, Apple TV, Fire TV, Roku, Xbox. and you are ready to cast. To read more about ALLCAST, CLICK HERE.